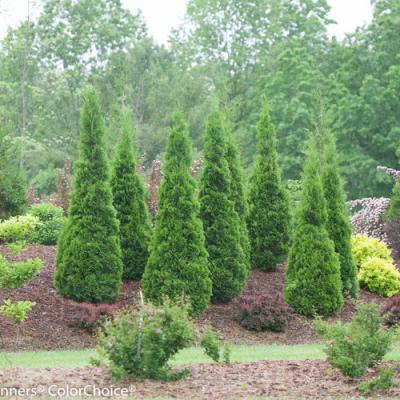 The tight, columnar habit makes this a great specimen or screen for narrow sites. Use as a bold accent plant in mixed borders. Little care is needed. Pruning is usually not needed but may be shaped in summer. Apply a controlled release fertilizer in spring. Requires part to full sun and average watering. 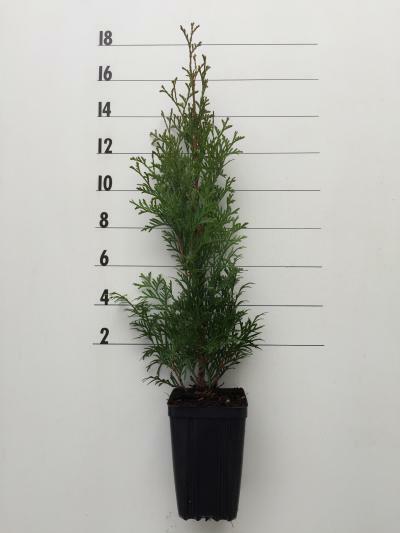 A very cool evergreen that adds elegance to your garden all year round! This narrow columnar selection of ‘Wintergreen’ has excellent hardiness and dark green winter foliage color. More narrow than Emerald Green. It is resistant to winter burn.